Highclare Senior School, including the Sixth Form, is based in Erdington and is open to girls and boys aged from 11 to 18 years. Our philosophy is that every pupil at Highclare should be known and valued. As well as having a form teacher, each student at Highclare Senior School is assigned a personal tutor upon entry to the school, who will remain with them throughout their time at Highclare. The personal tutor will meet with them on a regular basis, and take an active interest in their academic progress and emotional wellbeing. The individual pupil’s unique talents are the priority, and there is great celebration of variety and difference. Our excellent staff to pupil ratios allow for a tailored approach to allow each student to grow and develop in the best way for them. While meeting the requirements of the National Curriculum, we have the freedom to adapt our teaching build on individual strengths both inside and outside the classroom. Highclare provides high quality teaching and encourages independent learning. This is evident in the excellent examination results achieved by individuals at GCSE and A-level, with overall pass rates placing us high in the league tables. Teaching staff are highly motivated, well-qualified and caring professionals who have a wealth of experience of building good relationships with pupils. We aim to stretch pupils’ own development through extra-curricular activities, providing many opportunities for this within school, including participation in the Duke of Edinburgh award, thereby fostering team-building and leadership skills. 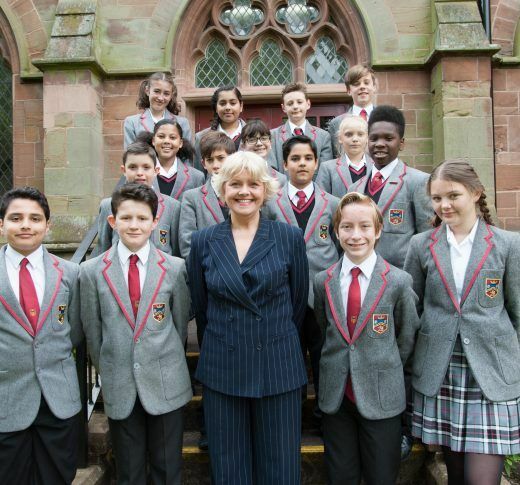 Highclare offers specific guidance and support for gifted and talented pupils. Our established house system encourages a spirit of competitiveness and belonging which is invaluable to a child’s overall development. Our high standards of behaviour ensure that lessons take place in a calm and purposeful atmosphere, allowing teachers to devote all their time and energies to the learning and achievement of the pupils in their care. 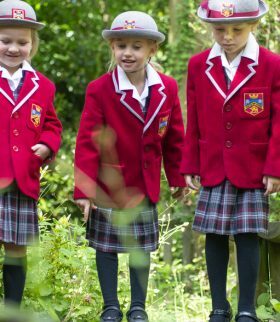 We believe that by focusing on the importance of good manners and mutually respectful conduct, we are able to create a calm environment which is conducive to the achievement of academic excellence. The school provides well-developed career guidance so that senior pupils have a clear idea of their forward plan. Above all, pupils of Highclare Senior School leave the school as articulate and confident young people, who are assured of their personal strengths and who possess the ability to present themselves well in both higher education and the wider world of work.